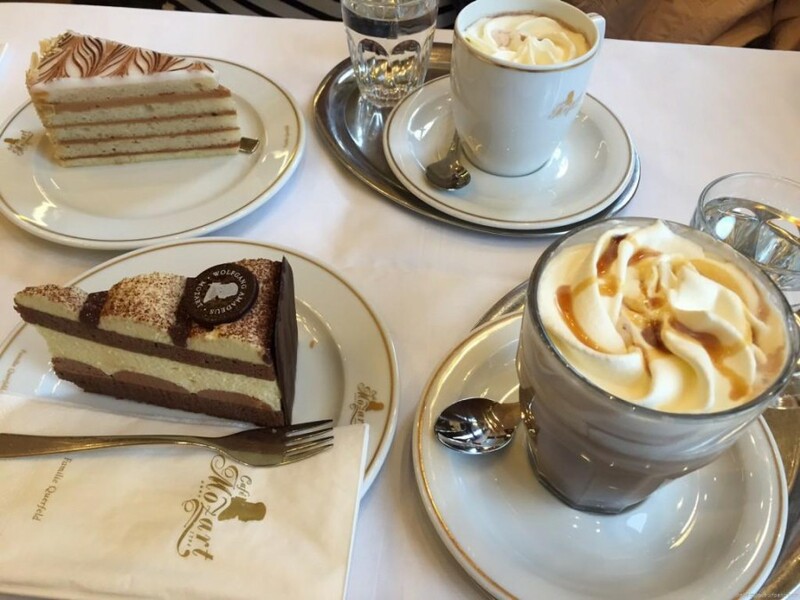 When I think of things to do in Vienna, I usually think about listening to Johann Strauss and eating all those delicious multilayered pastries. I had already visited Vienna and Salzburg a few years ago and absolutely loved it ! So I was more than happy to go back for a long weekend in May. 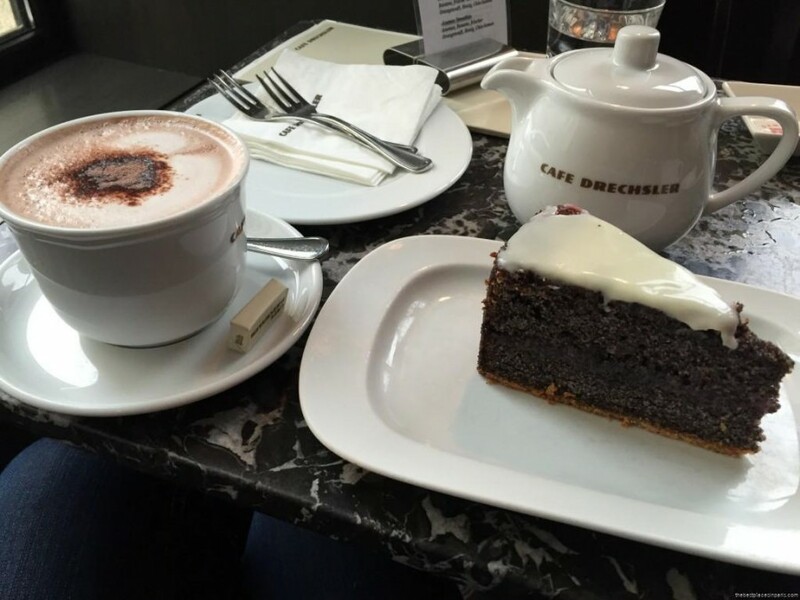 The first stop had to be one of the traditional Viennese cafés. There are so many to choose from. It is very common to see both men and women spend some quality time with family and friends at a café, while sipping a hot chocolate and eating a delicious pastry. One of my favourite cafés is the Mozart café, quite central on Albertina platz. If you are a meat eater, you shouldn’t forget to head to one of the local restaurants and have a Wiener Schnitzel. If you are simply looking for a light lunch, the Naschmarkt will be your best bet. This huge market is full of appealing food stalls from all over the world . You can easily buy your groceries or lunch on site or to take away. And if you have any kind of allergy, don’t worry. 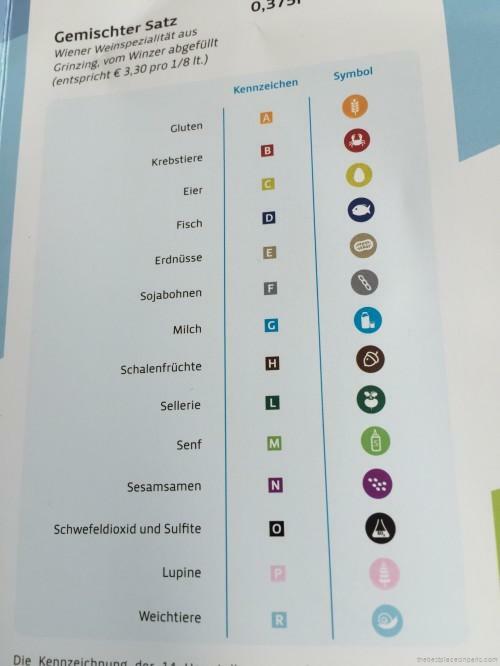 Wherever you go, you will find lots of detailed information on what your food contains. Even if you don’t speak German, the drawings should help. Eating pastries is an ideal way to avoid the rain. Another way would be to visit the Music Museum, a very interactive place which keeps both adults and kids entertained. Music is very accessible all over town, and not only in museums. During the whole summer, they broadcast most operas outside for free, in front of the main opera of the city. 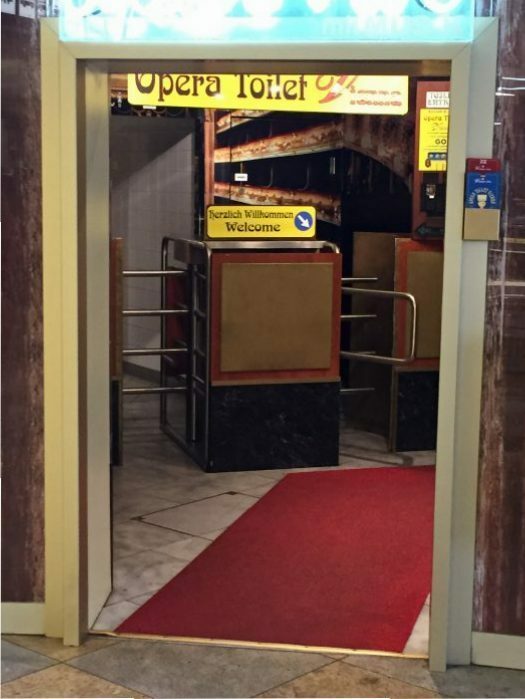 Even when you use the toilets at the Opera metro station, you can still hear the music playing ! 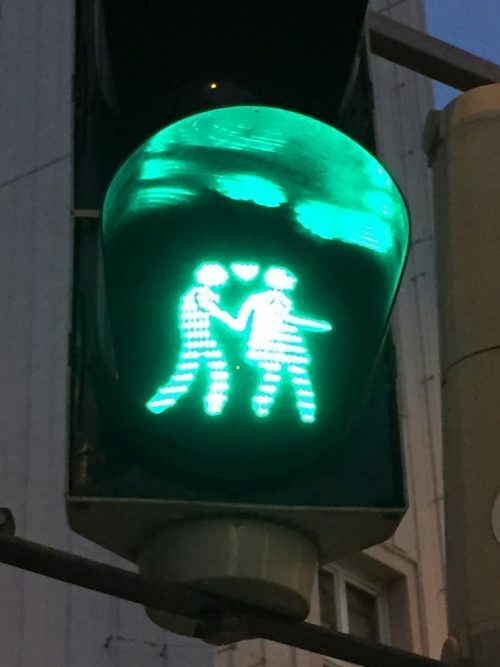 Even the traffic lights have changed to cater all tastes. Vienna is definitely not only turned towards its magnificent past but is also full of innovative art and architecture. 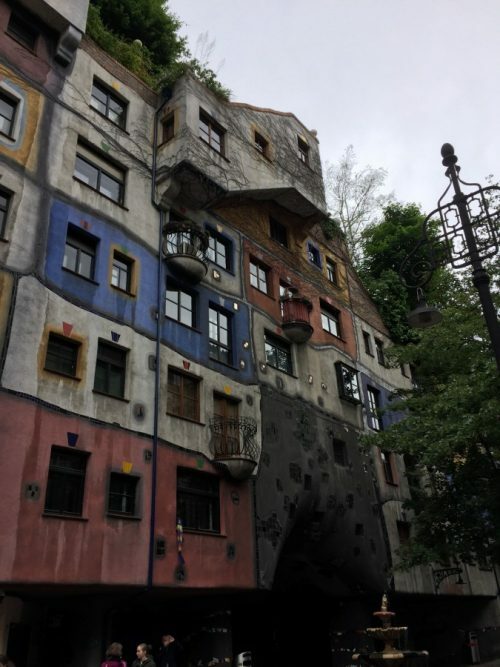 The MuseumsQuartier or the Hundertwasserhaus are good spots to check out during your visit. 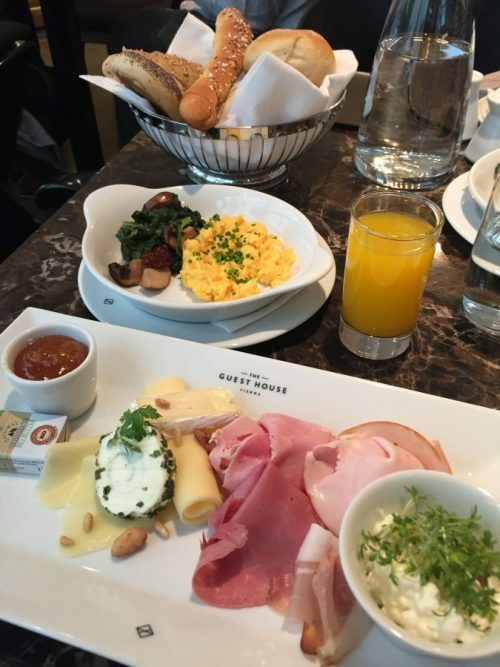 Vienna is also one of the best cities in Europe for affordable and delicious brunches. There are plenty of good places. 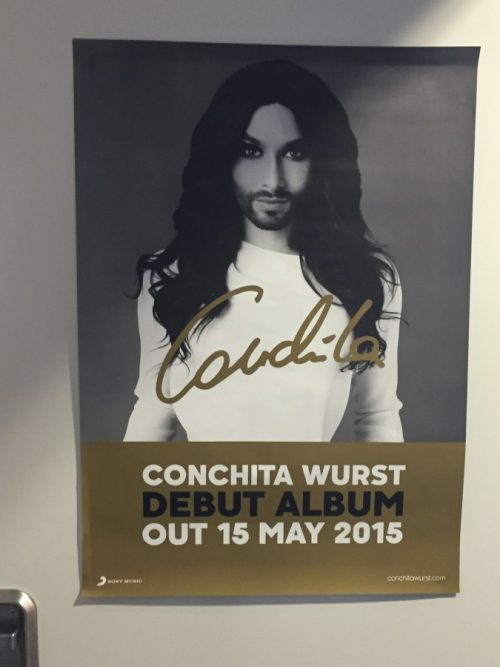 One of my favourites is the Austria Trend Hotel. 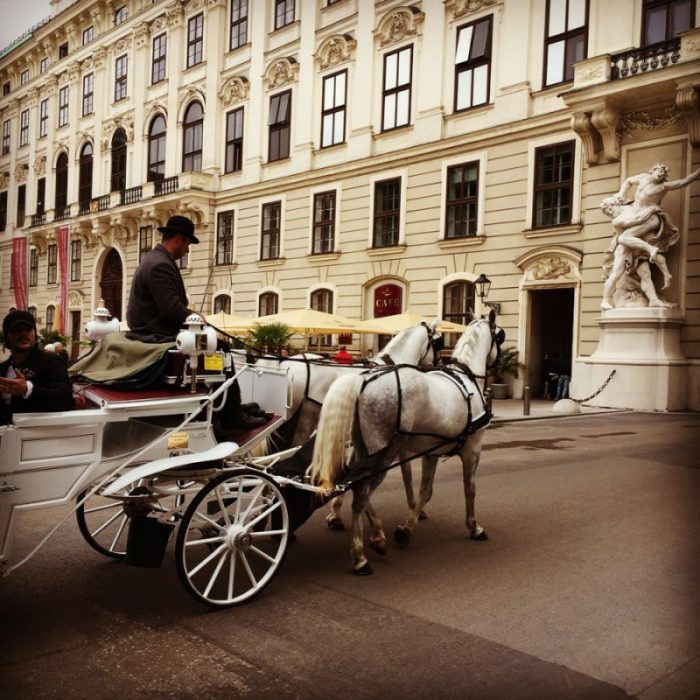 Now if you’re there for the good old Vienna, you can hop on a horse carriage or stroll around all the beautiful palaces. 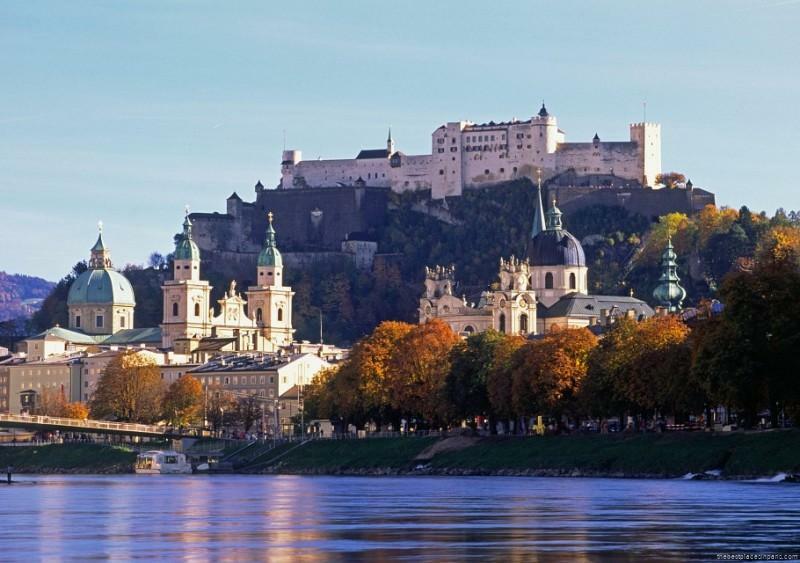 Salzburg, which is a couple of hours away by train, is also well worth a visit, surrounded by the Alps. Unfortunately, it was a little grey that day. When you go to Salzburg, you should take the funicular and head up to the fortress, where you will get some amazing views over the city and mountains. You can also easily reach the best places in Budapest or in Bratislava by train from Vienna.